Guest Blogger Abigail Calder’s Book Review! Reviewing books and posting the review every other day can get really tiring… especially when you could school and extra-curricular activities to go along with it. So it’s lucky I have super great friends like my amazing and fantastic friend: Abigail Calder. Why Read: I’m a little late to the party, but I just finished reading the famous (or infamous?) 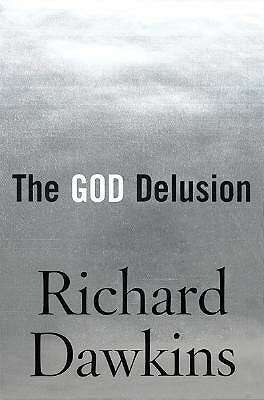 The God Delusion, written by English biologist and Oxford professor Richard Dawkins. Since its debut in 2006, it has attracted both great praise and criticism, with most of the criticism seeming to come from people who didn’t actually read the whole book. I’ve shown my cards already, it seems. Review: Going in, I knew I would probably like the book, but I also thought that Dawkins would mostly be preaching to the choir with me, a secular humanist and agnostic to whom religion has never made much sense. But I was wrong: not only did he change my views on some things, he presented arguments in defense of agnostic atheism that I had never even considered before, despite all the time I had spent reading up on the case for both theism and atheism while I was still on the fence about religion. When I began reading, I thought God maybe had a 50/50 chance of existing, and would safely proclaim that there was no way to know either way. Now, I have a somewhat different opinion, but I won’t spoil it for you, even if it’s probably not hard to guess. Dawkins’ thought process is clearly and eloquently articulated as he makes the case for why there almost certainly is no God, and although it is a serious book, the bits of cynical British humor found throughout the pages actually had me laughing out loud. It’s true that he is very critical of religion, and I can see how some might say that he is too harsh, although I found all his criticisms to be fair. But there is something more to The God Delusion than just your run-of-the-mill atheist apologism. Maybe it’s because Dawkins is obviously so passionate about his topic, maybe it’s because he’s a brilliant writer, or maybe it’s something else, but he has a way of passing on his wonder and fascination with the universe in between his arguments. Not only does God almost certainly not exist, he writes, but the universe is much more beautiful and worthy of awe without him. When I finished the book I had a different perspective on the world, a newly rekindled interest in science, especially evolutionary biology (Dawkins’ area of expertise and the topic of all his other books), and an urge to write the author a letter of thanks, which I have never experienced before. So in conclusion, I would recommend The God Delusion to just about anyone. Atheists and agnostics will find clear, logical, and innovative arguments to add to their arsenal. Those on the fence between theism and atheism will certainly find something to keep in mind as they decide which religion (or lack of it) they want to land on, and I daresay they might even be persuaded in the direction of agnostic atheism. And the devoutly religious, though not likely to lose their faith for anything, would be hard-pressed to find a better logical test for their beliefs, and might even come away with a different way of looking at them.